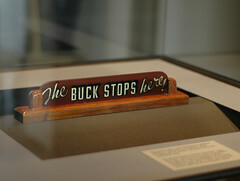 HUD to DC: The AIDS Bucks Stop. After the Washington Post’s exposé on the problems with HIV/AIDS funding in the city, the Department of Housing and Urban Development has decided on a course of action: unless there are changes in DC policies, there won’t be any more federal money. The threat amounts to $12.2M in lost funding unless the city allows HUD to monitor the spending. HUD has been attempting to monitor the spending since 2003, with little to no cooperation between the DC CFO’s office and HUD’s grant investigators. The situation violates over 60 policies within HUD’s grant structure, according to the Post’s coverage. Here’s hoping that with monitoring from HUD, the money might get spent on something useful, instead of job centers that never open, and substandard care. Tagged DC Government, DC HIV/AIDS Administration, WTF? !